The international research conference “MARIUS PETIPA’S BALLET EMPIRE: FROM RISE TO DECLINE” is hosted by the A. A. Bakhrushin State Central Theatre Museum, the State Institute of Art Studies and the State Academic Bolshoi Theatre as part of the Year of Ballet in Russia and state-sponsored events dedicated to the eminent choreographer’s bicentenial, with support from the Ministry of Culture of the Russian Federation. The research forum coincides with the date (May 24 old style, June 5 new style) of the contract concluded between Marius Petipa (1818-1910) and the Directorate of the Imperial Theatres, initially for just one year, and then permanently. Before coming to Russia and mounting a brilliant career as a choreographer, Marius Petipa completed a long creative journey. When he was just five years old he appeared on stage as Cupid in the ballet Cupid and Psyche, choreographed by P. Gardel. In 1827 he performed his first significant role, as Fernand in the play Jocho, or the Monkey of Brazil, as depicted in a portrait preserved in the collection of the Bakhrushin Museum. Before coming to Russia, Petipa worked as a dancer in the theatres of Nantes (1839-1842), Paris (27 October 1842), Bordeaux (1843/1844 season), and with particular success in Spain in the Teatro del Sirco (1844-1847). Invited to Russia by the Directorate of the Imperial Theatres as a dancer in 1847, Petipa immediately made his debut as a ballet master, staging Paquita in St. Petersburg after the Mazilier ballet that had been premiered in Paris. In 1862, he was officially appointed choreographer for the St. Petersburg Imperial Theatres, and in 1865 he became chief choreographer. In 1894, Petipa accepted Russian citizenship. Petipa was born in France and spoke French all his life, but it was in the two capitals of the Russian Empire – St. Petersburg and Moscow – where he found the ideal conditions to realize his talent. Petipa came to Russia at age 29 and ended up living and working here the rest of his life, more than half a century. Marius Petipa staged over 60 ballets with the Imperial Theaters: Sleeping Beauty, Swan Lake (in collaboration with Lev Ivanov), Raymonda, La Bayadère, Don Quixote, and others. Many of his ballets are still kept in the contemporary repertoire as outstanding examples of the choreographic heritage of the 19th century. The great choreographer died in 1910 in Gurzuf and was buried at the Tikhvin Cemetery of the Alexander Nevsky Monastery in St. Petersburg. With his death, the “Era of Petipa” did not, however, end. The “Ballet Empire” he created began to expand its borders. The conference embraces a broad range of issues for discussion: Marius Petipa’s contribution to the history of ballet around the world and his place in modern ballet; the historical role of the choreographer and choreographic notation; aspects of the development of ballet and the science of ballet in recent times; ballet theatres’ adaptation of new styles, and so forth. The conference program includes the following plenary sessions and panels. SOURCE STUDIES AND “FOLKLORE” (Petipa’s work as viewed through documents and reconstructions, as well as the oral interpretation of his heritage, analyzed in interviews about Petipa with choreographers, composers, designers, and critics). GEOGRAPHY AND LANGUAGES: PETIPA’S LEGACY ON THE WORLD MAP (the transfer and revival of Petipa’s ballets in the West and Russia; the problem of adapting choreography for different choreographic schools and countries; the guardians of Petipa’s heritage in the USSR and in the West). A FOREIGN ARTIST IN THE SERVICE OF HIS MAJESTY (relations between choreographers and the imperial and theatrical bureaucracy; the status of the French diaspora within the Russian Empire; opportunities and restrictions for foreign nationals). ALLIES AND SUBJECTS: Petipa and his staff working on ballets (competitors and pupils; relationships with co-authors, employees, performers, librettists, designers, and actors). THE BORDERS OF THE EMPIRE: artistic connections and parallels (Petipa’s creativity within the context of the theatres of his time). ECONOMICS AND SOCIETY (the government and the arts; the administrative and financial functioning of 19th century ballet theatre in documents, contracts, and concrete details; production costs and fees; the social status of ballet and its audiences). PETIPA TODAY: BRAND OR KITSCH? (perspectives on reconstruction; the preservation and study of classical ballet in general and Petipa’s ballets in particular; the potential for traditional models in digital adaptations). 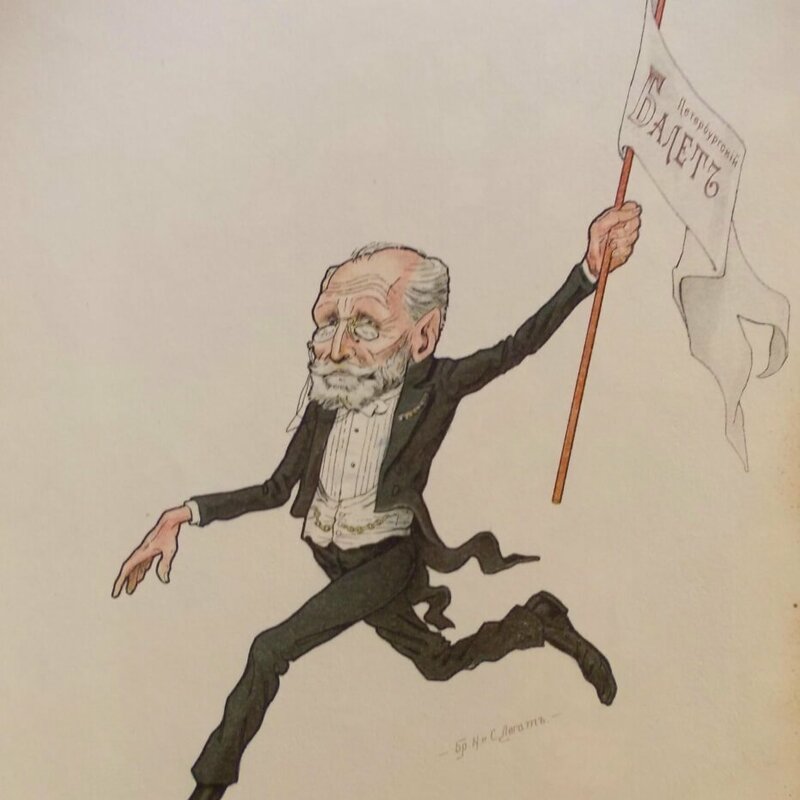 “Have choreography, will travel”: Sketches and transcriptions of choreography of the XIX century in the collection of the Houghton Library, Harvard. Acting in dance in the choreographic notations of Henri Justamant: Undine by J. Perrot and C. Pugni. Petipa in the United Kingdom: Press responses to N. G. Sergeyev’s stagings in the 1930s and 1940s. The financing of the Imperial Theatres in the context of the creation of the budget of the Imperial Court (second half of the 19th century to the beginning of the 20th century). MODERATOR: Alexander Yakovlevich Rubinshteyn, first vice director of the Institute of Economics of the Russian Academy of Sciences, head of the Economic Sector of the Department of the General Theory of Art and Cultural Policy of the State Institute for Art Studies, Doctor of Economic Sciences. Ekaterina Eduardovna Chukovskaya, Scientific Method Centre of the “UNESCO Department for Copyright and Other Intellectual Property Rights,” National Research University Higher School of Economics, Candidate of Legal Sciences; Ekaterina Andreyevna Khaunina, Senior Researcher of the social efficiency sector of the Centre of the Economic Theory of the Social Sector of the Institute of Economics of the Russian Academy of Sciences, Senior Researcher of the Arts Economics Sector of the Department of the General Theory of Art and Cultural Policy of the State Institute for Art Studies, Senior Lecturer of the Producer Faculty of the Chair of Economics of Art and Cultural Policy of the Moscow Art Theatre School-Studio; Valentina Yuryevna Muzychuk, Lead Researcher of the Arts Economics Sector of the Department of the General Theory of Art and Cultural Policy of the State Institute for Art Studies; Alexander Anatolyevich Ushkarev, Candidate for the Study of Arts, Senior Researcher of the State Institute for Art Studies, Senior Researcher of the Department of Sociology of Screen Arts, S. A. Gerasimov All-Russian State University of Cinematography; Valeriya Vladimirovna Efremova, Senior Researcher of Civil Law, Civil and Arbitration Process, Institute of State and Law. Why was The Magic Mirror (Le Miroir Magique) a “fatal mirror”? Panel 6: PETIPA TODAY: BRAND OR KITSCH? 100 years of Petipa: Where have we arrived?